Other Family Data Children: Alan Ezra Goldenberg (b. December 14, 1922, HK; d. August 2004, Bromley, UK) & Beryl Goldenberg (b. circa 1925). Granddaughters: Jo Goldenberg and Naomi Ozaniec. 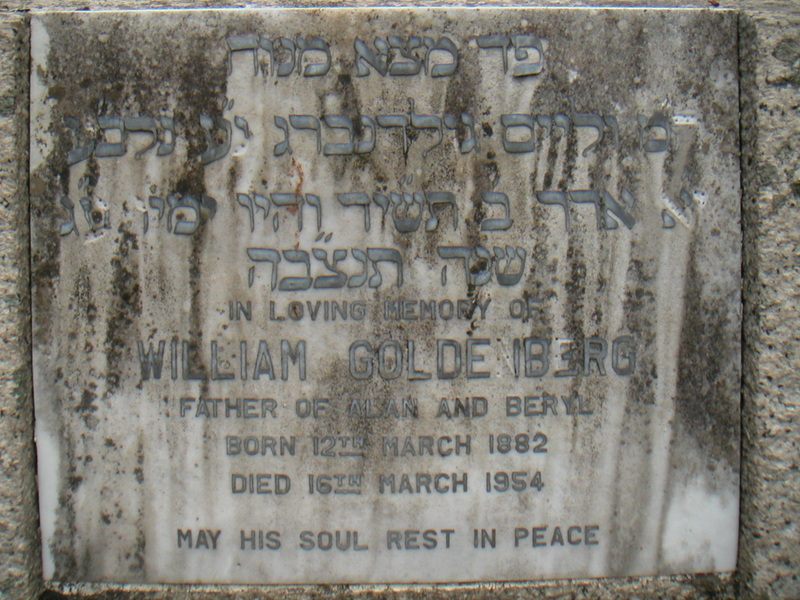 Older brother of Charles Archie and Isaac Levy Goldenberg (4C4) and the son of Eva Goldenberg (4B18). Sisters: Annabella Oxberry (4C3) and Clara Thelma Forbes (4C8). Brothers-in-law: Ezra Abraham (2H5), James Henry Oxberry (4B20) and Alex Forbes (4C9). There was another brother (Harry) and sister-in-law. Possible brother-in-law of Naphtali Steinberg Moses (4B19). 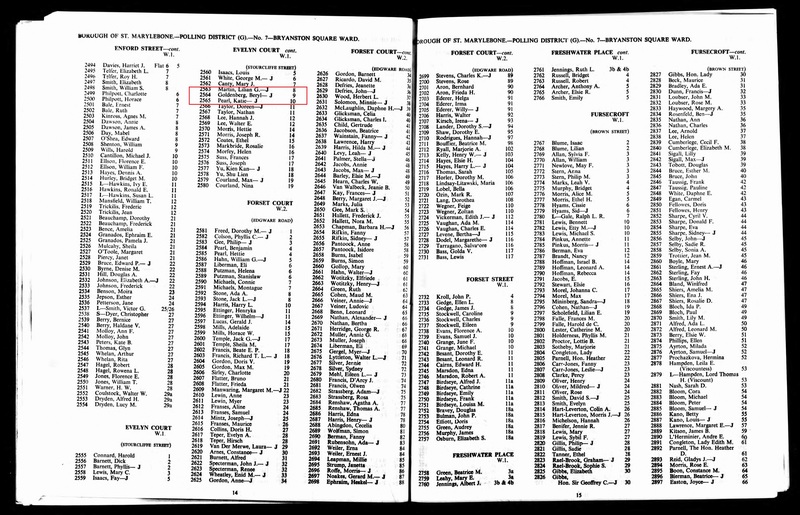 Historical According to the 1902 jurors’ list, William was a clerk at Hongkong Hotel. On March 2, 1916, the SCMP reported that he was appointed to represent Mustard & Co. in HK. 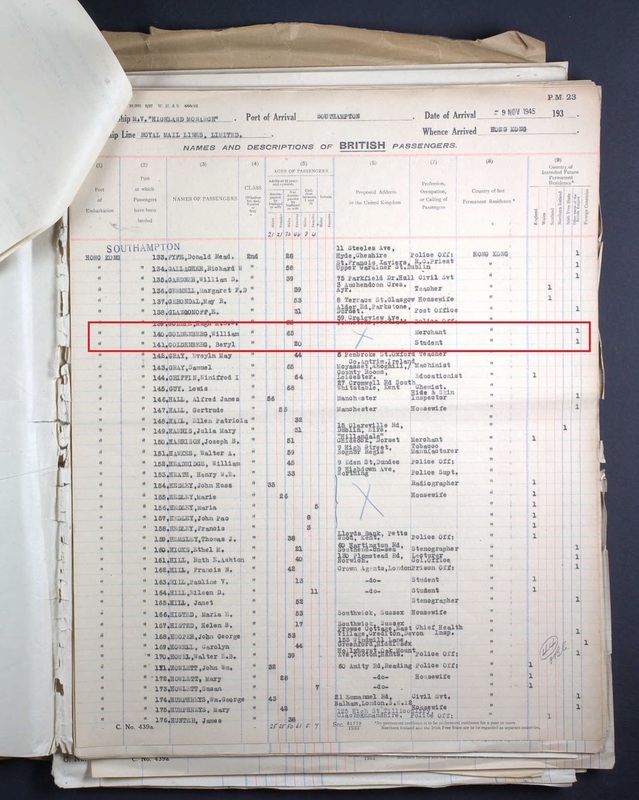 In the 1923 jurors’ list, he is listed as a merchant at N. S. Moses & Co., located at 36B Nathan Road, Kowloon. At the time of his wife, Daisy’s, death in 1938, he was a manager at N. S. Moses & Co. Ltd. 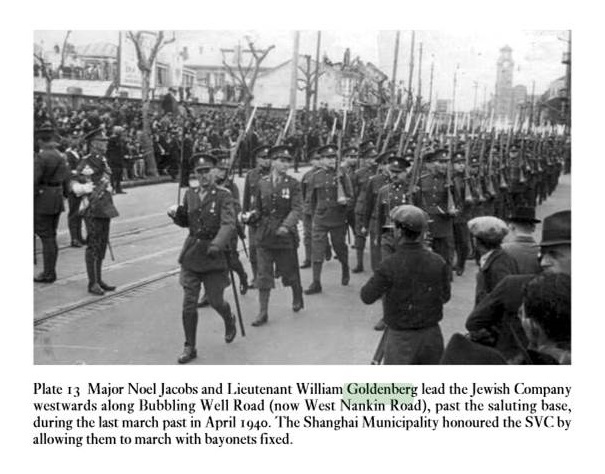 He was a Freemason with membership at Zetland Lodge in Hong Kong. He was commissioned as a Second Lieutenant on 26 October 1937. Exactly a year later, he was promoted to Lieutenant. Daughter (Beryl) was interned at Stanley Camp during the war. Hebrew inscription says he was 73. After the war, Beryl active as a leader in the Girl Guides. She left Hong Kong in the late ’50s/early ’60s to settle in England.